In "Mega Piranha," a mutant strain of giant ferocious piranha escape from the Amazon and eat their way toward Florida. Apparently a kick to the head is the only way to stop them. 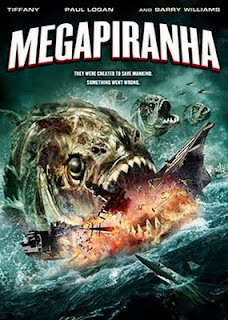 0 Reply to "Mega Piranha ปิรันย่า โคตรเขี้ยวเขมือบโลก(2)"